On paper, it all looks very promising. 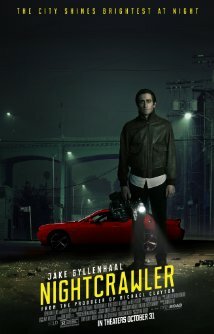 In 2014, writer/director Dan Gilroy gave us Nightcrawler, a brilliant movie with arguably career-best performances from Jake Gyllenhaal and Rene Russo. Velvet Buzzsaw, set in the LA art world, must surely be an opportunity to pull off a similar trick, making us care about essentially unlikable people… mustn’t it? Unfortunately, the characters who inhabit this movie are such an appalling collection of poseurs that it’s hard not to cheer when awful things happen to them. Which is only the first of its problems. Gyllenhaal plays Morf Vandewalt, an influential art critic. One word from this man and an aspiring artist can kiss goodbye to his career (Hmm. I wonder what it’s like to have that kind of influence?). Morf has a bit of a thing for Josephina (Zawe Ashton), who works as an assistant to hard-nosed art dealer, Rhodora Haze (Rene Russo). Josephina has lately been struggling in her career but an unexpected opportunity arises when reclusive artist Vetril Dease drops dead at an art launch and she chances upon a massive haul of his paintings hidden in his apartment. Despite the fact that Dease left strict instructions that his work should be destroyed in the event of his death, Josephina steals his pictures and, with the help of Vandewalt and Haze, sets about selling them to the highest bidders. But Dease was a troubled soul and his paintings have taken on certain aspects of his personality – probably because he used bits of his own body tissue when mixing his paints. To be fair to Gilroy, he sets out his stall expertly, skewering the world of contemporary art and pointing out that, in this day and age, it is inextricably bound up with commerce. In this film, people cannot mention an artist without pointing out how much his or her work is currently selling for. But having created this world, Gilroy seems to have nowhere interesting to take his characters, except along an extremely well worn path of bumping them off in increasingly unpleasant circumstances. Which would be all right, if it weren’t for the fact that this is supposedly a horror movie and it fails comprehensively to generate any sense of terror. More damning is its predictability. The demise of rival art dealer Gretchen (Toni Collette) is so clumsily signalled, you know what’s going to happen to her well before she does. And then there’s the little matter of the film’s own internal logic. Many of the deaths here really don’t make sense in terms of the premise that has already been established. That catchy title by the way, refers to Rhodora Haze’s previous incarnation as a member of a punk band of the same name. It also leads to one of the film’s most tenuous plot twists. This Netflix Original has certainly divided opinion. I’ve heard a lot of people decrying it and just a few speaking up in its defence, but I have to say I’m with the naysayers. This is, frankly, a massive disappointment. A nightcrawler is not, as you might suppose, a lower form of verminous insect that comes creeping up through the cracks in the floorboards after you turn the light out. It’s a term for those members of the paparazzi who drive around LA in the small hours of the morning, listening intently to police band radio in the hope of finding some horrible disaster that they can film and then sell the footage to one of the many independent TV news stations that flourish in the area. So, the two things are pretty much in the same arena as far as appeal goes. Dan Gilroy’s directorial debut is a mesmerising tale of darkness and dismay, in which the only honourable characters are sidelined in favour of the kind of grotesque, venal scum that seem to be completely unhindered by any degree of humanity. Gyllenhaal, in what must rank as a career best performance (and I’m including Donny Darko and Brokeback Mountain here) somehow manages to transform himself from handsome young lead to malevolent creep, simply by losing a few pounds and slicking down his hair. Bloom is a magnificently repellant character, someone who talks in self-help video cliches, somebody who smiles sweetly but harbours, beneath his calm exterior the cold reserve of a true sociopath. Gyllenhaal manages to achieve the impossible here; you will find yourself rooting for Lou even as he makes your skin crawl. While we’re handing out the accolades, it’s great to see Rene Russo eschewing her usual lightweight persona and firing on all cylinders as the (almost) equally repellant Nina. When she defines her ideal film clip as ‘a white woman running down the street screaming with her throat cut’ you realise that she and Lou are simply made for each other. Gilroy handles it all effortlessly. There’s not an ounce of dead weight here and in the last fifteen minutes, when he takes us into a lengthy car chase, I very nearly forgot to breathe. The amoral conclusion is as shocking as it is inevitable, but given the kind of characters on display here, it was never going to have a Mary Poppins conclusion. Don’t miss Nightcrawler. It’s unlikely you’ll see a better film this year.